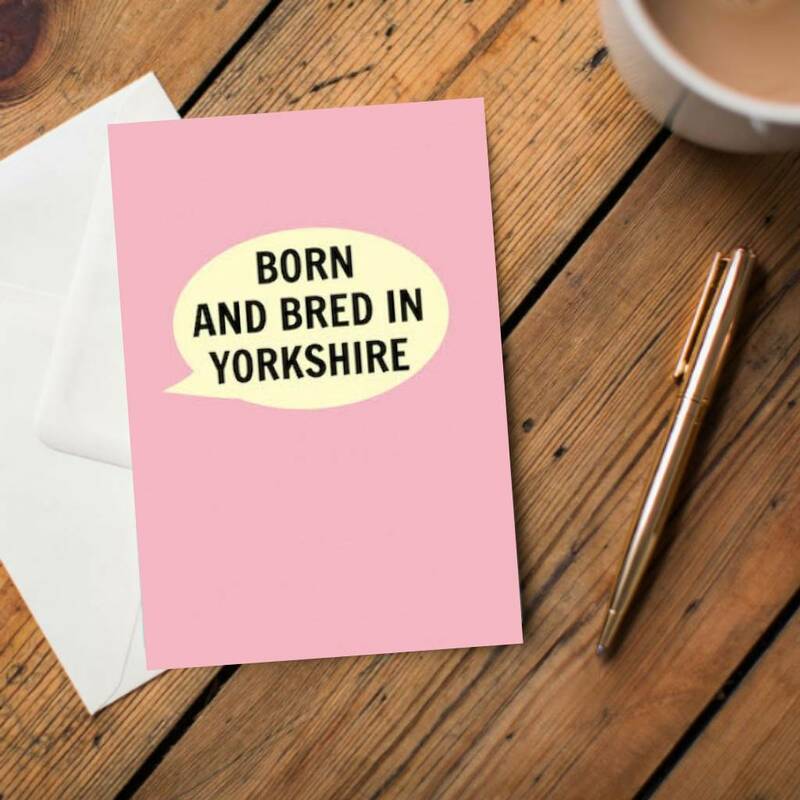 A gorgeous pink card featuring the Yorkshire quote ‘Born and Bred in Yorkshire’. 300 GSM Matte Finish Board. FSI approved. This product is dispatched to you by Dialectable.